A gluten free diet plan is essential for people with wheat allergies and Celiac Disease. To avoid adverse reactions to foods that contain gluten, you need know all about gluten free diets and learn which foods are safe and which ones to avoid. What exactly is a gluten free diet plan? It is a meal plan tailored for individuals who are allergic to gluten. Gluten is a protein that is present in many grains like wheat, barley, rye, etc. It provides elasticity and texture to food. It is even extracted and added to non-gluten foods to add flavor and firmness. In normal levels, it is not harmful. People with wheat allergies and Celiac disease must go on a gluten free diet plan. But some people are sensitive to gluten. Most commonly, people with Celiac disease are allergic to gluten and they must take care to avoid food items that contain this substance. 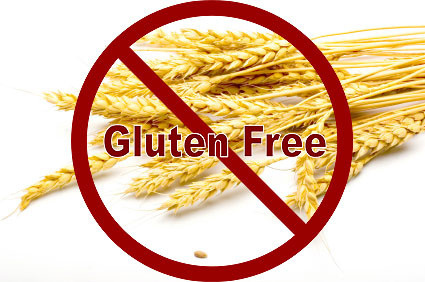 Those who suffer from dermatitis herpetiformis and wheat allergies should also stick to a gluten free diet plan. When you have to change your eating habits to stay healthy, it can take some time to adjust to the new diet. It’s not just about making changes in your lifestyle, it’s also about making the right choices. Just learning about gluten and gluten-free foods can take some time. Spend some time researching the foods you should avoid and the foods that can be included in your diet. This step is essential as it will help you stay away from foods that can cause allergies and affect your health. Once you have the basics right, you can go ahead and design your gluten free diet. Perhaps you already know what foods you can eat, but are unsure how to adapt to your new diet. Afraid that giving up on all the staple, easily available food that you have been eating so far will mean having tasteless meals? Don’t be! A gluten free diet need not be dull and unappetizing. Make a toast with gluten free bread and eat it with some organic fruit jam or peanut butter. You can also have breakfast cereals that are gluten free, but if you are tired of plain cereals, try something different, like banana buckwheat cereal. In the mood for some seafood? Try tuna with anchovies, tomato, avocado, and olives. Or sample some tuna with cauliflower and anchovies. Prepare a fluffy omelet with low fat cheese, garnished with onions and pepper. Wash your meal down with a fruit smoothie or some unsweetened almond milk. For lunch, you can try your hand at adding different flavors to your seafood or chicken. Go for some salmon with an organic spread or flavored with curry powder and lemon juice. You can also try some tuna salad or spinach salad, or a nice gluten free chicken recipe. Add some fresh berries and flavored yogurt to your meal. Have some rice noodles or some toasted rice tortilla, preferably prepared with brown rice. Throw in a dash of a gluten free sauce and some olives, broccoli, and mushrooms. You can also have baked chicken breast with corn and broccoli or enjoy a fish salad or a lentil salad. Going on a gluten-free diet plan does not mean you have to skip those light indulgent snacks in between meals, as long as they are healthy. Have some gluten free pretzels or some fresh fruits. Snack on some nuts, have one hard boiled egg, or eat some steam some vegetables spiced up with seasoning. How about treating yourself to a little dark chocolate? Gluten is a product that is extracted and added to numerous food items, to add features like firmness, elasticity, and texture to them. It is not always easy to spot these sources of gluten. If you are buying processed foods, it is best to go for foods that are labeled gluten-free, to be on the safe side. If you find it hard to find foods labeled gluten-free, avoid processed foods that contain emulsifiers, starch, flavoring essences, and stabilizers. Ensure that you carry a list of words that raise a red flag warning you of gluten content, so that you know which foods to avoid. Meats, vegetables, and fruits should be safe, but if you are buying the packaged kind, there is a high chance that they might also contain gluten. Products like canned baked beans, sausages, canned meats, and dry roasted nuts might contain gluten. When avoiding gluten is vital to your health, it is important to get to know the food choices you have. It is easy enough to skip the main gluten sources, but you need to make an effort to learn about the more insidious sources, like those present in processed foods. Once you have made a list of foods that are safe for you, go ahead and plan your meals. 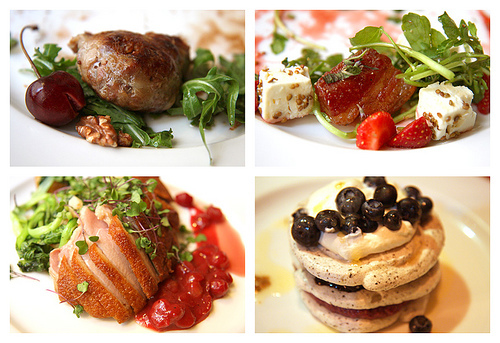 Gluten free meals do not have to be unappetizing. Just use your imagination and prepare tasty meals. 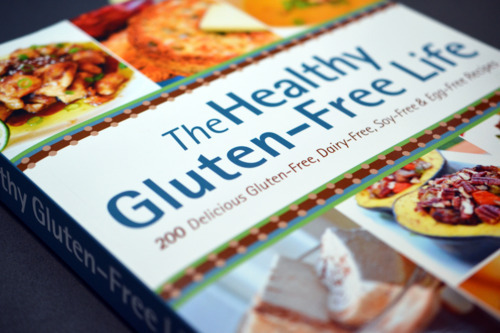 Get a good cookbook to help you design a healthy and tasty gluten free meal plan. Search the Internet for meal plans and delicious gluten-free recipes. Buy books that show you how to prepare delicious gluten free dishes. Design a gluten free diet plan and enjoy tasty meals that keep you healthy and fit. This entry was posted in Nutrition and tagged gluten free diet, gluten free meal plan by Zipheal Editorial Staff. Bookmark the permalink.